The Durango Marigold Bolero features small, compact blooms.The blooms are bright yellow, ruffled flowers, with spatters of red on its sunny petals. 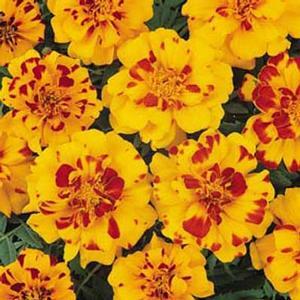 Durango Marigolds are petite, ruffled flowers that grow on sturdy stems above deeply divided foliage. 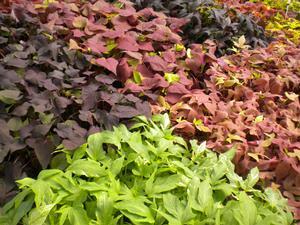 They are a fast growing annual that look fabulous surrounding a garden’s edge, window boxes and containers. 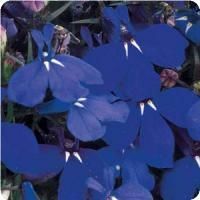 They are fragrant, have scented foliage, attract bees, are heat and frost tolerant and are very low maintenance.